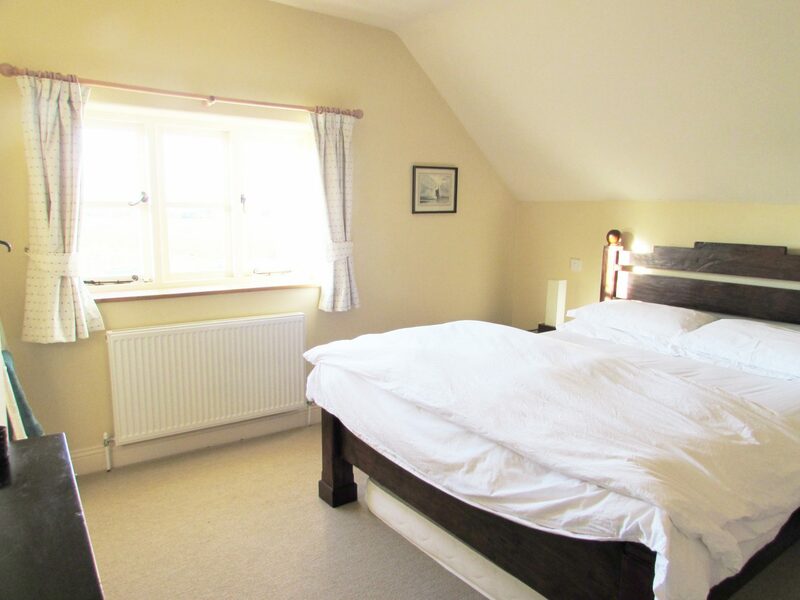 We aim for all of our guests to be completely comfortable, so we provide the beautiful white linen that we would enjoy when on our own holidays. There are extra pillows available to ensure your comfort and fun duvet covers for our younger guests. 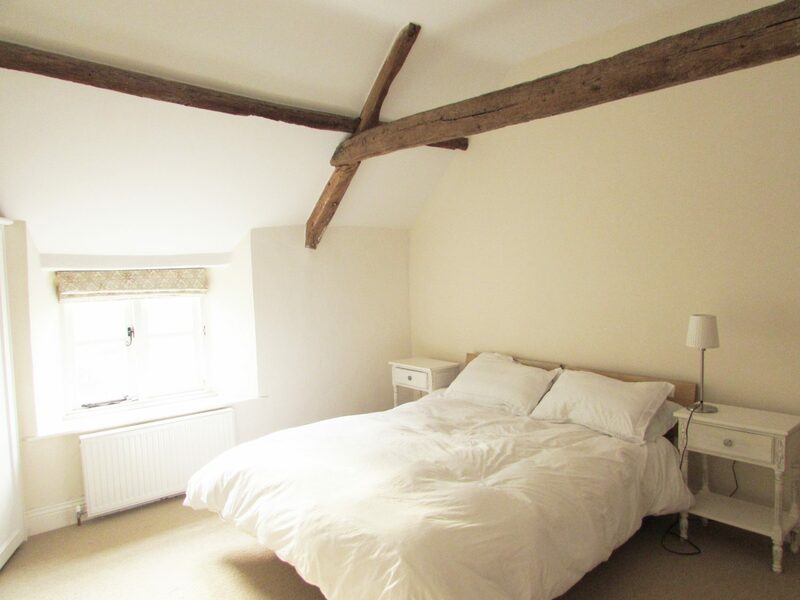 Bedroom One has a king-size bed, fitted wardrobe, an en-suite, and a beautiful view of the rear garden and surrounding fields. Bedroom Two can be either a king-size bed or twin beds. It has its own en-suite as well, with a fitted wardrobe and fitted shelving cupboard. 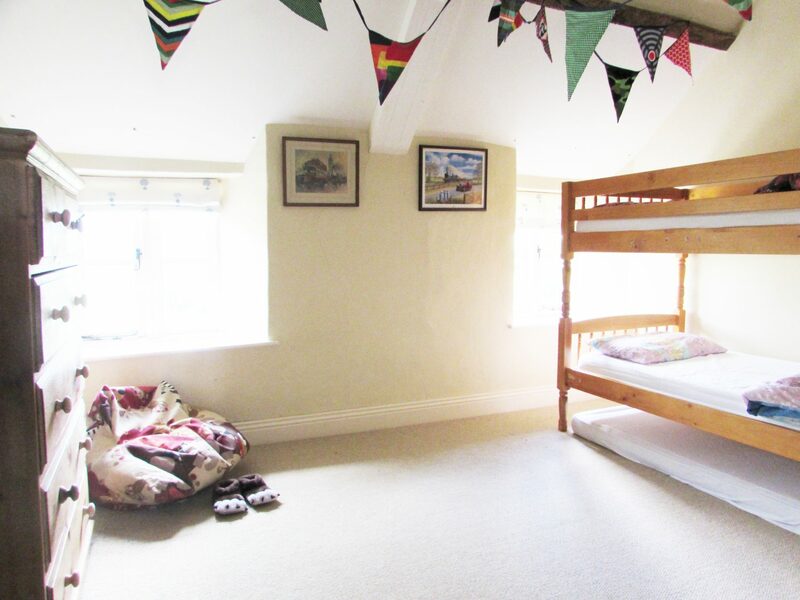 Bedroom Three has sturdy bunkbeds and a chest-of-drawers, both in pine, along with fun bunting and Roald Dahl artwork! Bedroom Four is the largest, stylishly decorated with personal paintings, a large console table and chair, complete with two fitted wardrobes. 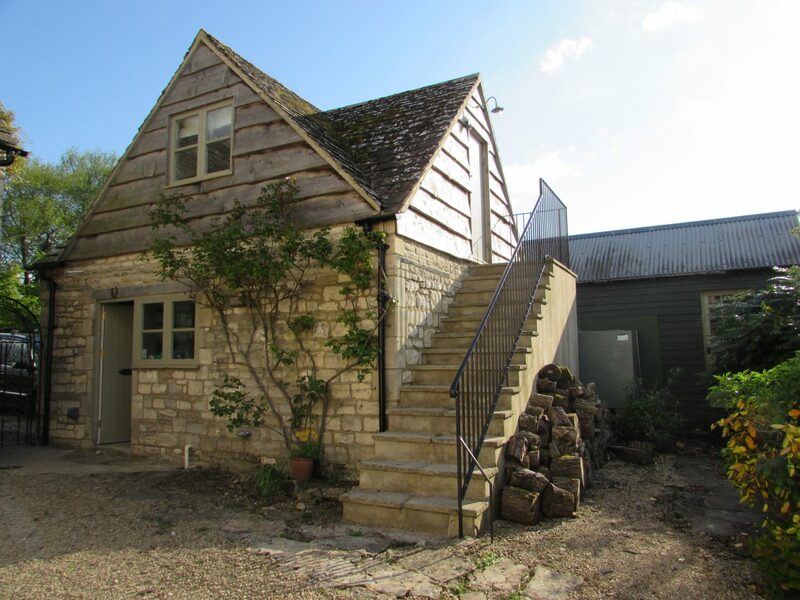 This beautiful light is due to having both front and rear-facing windows, with views of both gardens, as well as the nearby fields. 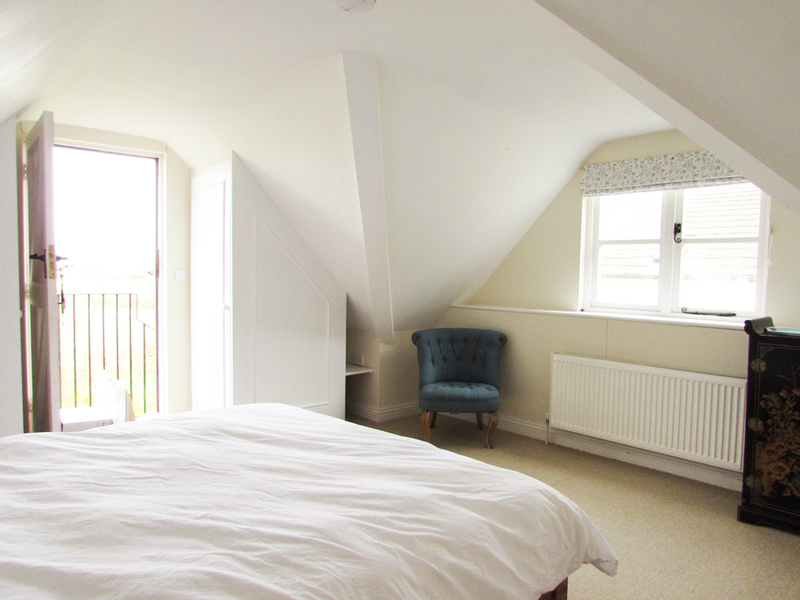 Bedroom Five is in the Annexe, a lovely retreat for couples preferring their own space. It has a king-size bed, its own en-suite, a unique Chinese cabinet with tea and coffee-making facilities, as well as two wardrobes. 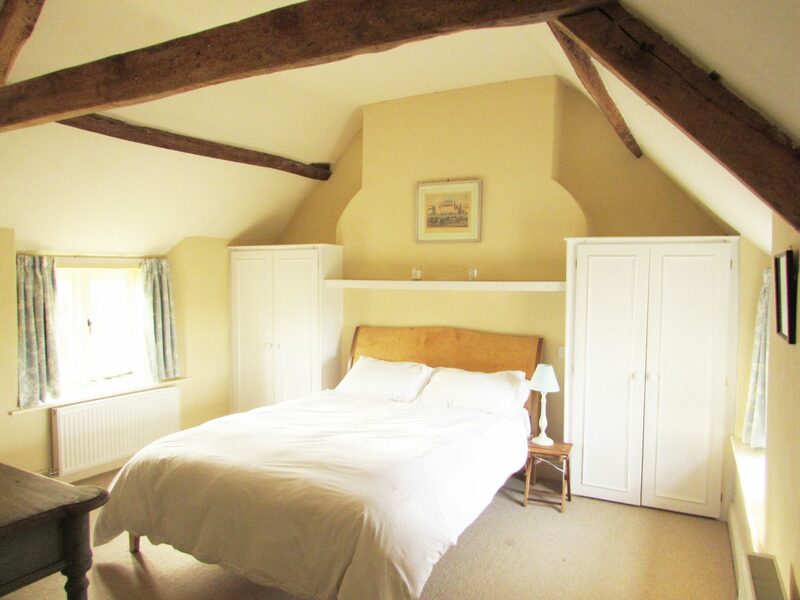 This is ideal for any couple seeking a real get-away!